Despacito/Quiero respirar tu cuello despacito/Deja que te diga cosas al oido/Para que te acuerdes si no estas conmigoooooooooooooooo. It’s the song of the summer. The third most watched YouTube video. And now, the most streamed song in history. That’s some going for a song that a lot of people don’t even know the words to, including Justin Bieber, who actually features on the song. 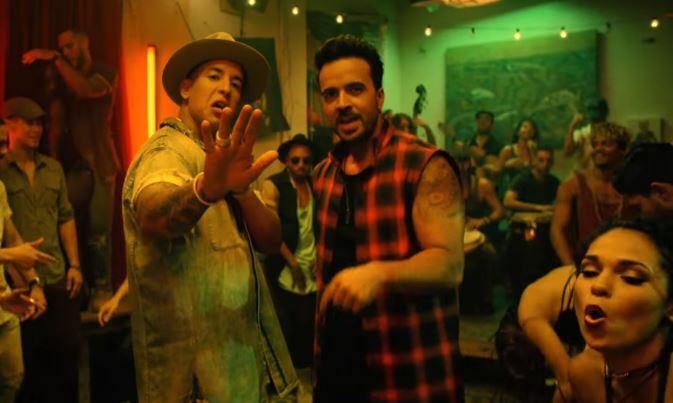 Luis Fonsi’s smash has notched up 4.6 billion streams globally, according to Universal Music Latin Entertainment, effectively knocking Justin Bieber’s ‘Sorry’ off the top spot. Streaming has opened up the possibility of a song with a different beat, from a different culture and in a different language to become a juggernaut of success around the world. I don’t want to use the word accident because I was trying to write a hit, but I didn’t plan for it to cross over. I just wanted to make people dance. Fonsi also said that the song’s success has some serious political implications. I come from Puerto Rico and I live in Miami. We’re living in an interesting time right now when people want to divide us. They want to build walls. And for a song to bring people and cultures together, that’s what makes me proud. I’ll drink to that. Or dance. Para que to acuerdes so no estas conmigoooooooooooooooooo.